The Cambridge-Optima deal will create an institution that is 'well-positioned to offer differentiated, high-touch private banking and wealth management services to clients and prospects in southern New Hampshire,' says Dan Morrison, CEO and one of the founders of Portsmouth-based Optima Bank. Portsmouth-based Optima Bank and Trust, which was started by a handful of entrepreneurs in 2008 at the start of the Great Recession, has agreed to be acquired by Massachusetts-based Cambridge Bancorp, parent company of Cambridge Trust, in a stock and cash deal worth about $67 million, the two banks announced late Wednesday night. The deal will allow the publicly-traded Cambridge Bancorp, which currently has about $1.1 billion in wealth management assets in New Hampshire, to offer retail banking in the Granite State. Currently, Cambridge has three wealth management offices in New Hampshire – in Concord, Manchester and Portsmouth – but all of its 10 retail branches are in the Boston area. Optima has six New Hampshire – five on the Seacoast and one in Bedford. With $474 million in deposits, it is the seventh-largest community bank and the 12th-largest bank in the state, just behind Bank of New Hampshire and just ahead of Franklin Savings Bank. Cambridge is a much bigger bank, with $2 billion in assets and $1.7 billion in deposits – both four times as much as Optima – and $1.5 billion in loans, three times as much. Some 53 percent of Optima’s loans are in residential real estate, compared to 39 percent for Cambridge, which has 45 percent of its lending in commercial real estate. But the biggest difference is that Cambridge has $3.2 billion in wealth management assets, a third of which is in New Hampshire. Indeed, in its Wednesday presentation on the reason for the merger, Cambridge highlighted the Granite State’s wealth, noting that it ranks seventh in millionaires per capita, eighth in GDP per capita and has the lowest poverty and unemployment rates. 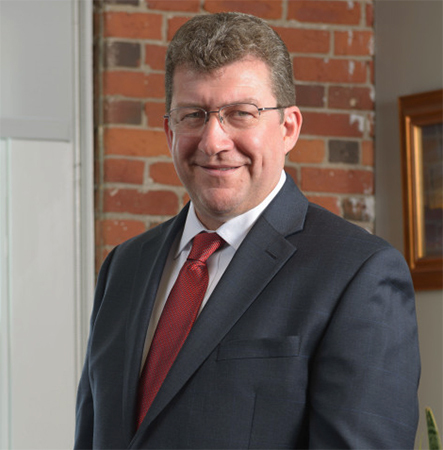 “By joining forces, we’ll be able to provide our wealth management clients in New Hampshire with access to a full suite of private banking services and convenient office locations, while clients of Optima Bank will benefit from Cambridge Trust’s comprehensive investment management, wealth planning and trust services,” said Denis Sheahan, CEO of Cambridge Trust. Under the agreement, Morrison will join the Cambridge board of directors and “other key members of the Optima team will remain with Cambridge to help drive the combined company’s future growth in southern New Hampshire,” according to the joint press release. In addition to the usual regulatory approvals, the deal will have to be voted on by Optima shareholders. Under the agreement terms, each share of Optima common stock will be exchanged for either 0.3468 shares of Cambridge common stock or $32 in cash, subject to customary pro-ration procedures, which will result in an aggregate mix of 95 percent stock and 5 percent cash. The $67 million price estimate is based on the $85.61 closing price of Cambridge Bancorp stock at the close of trading on Dec. 4. The deal is expected to be completed sometime during the second quarter of 2019.